Oprah: The Billionaire Everywoman Oprah Winfrey is the most powerful woman in film and television. In the early years of her success, some critics said she evoked the plantation stereotype of the black mammy. But her media mogul status has silenced those critics. Oprah Winfrey is the most powerful woman in film and television. Together her talk show, magazine and TV network have made her the wealthiest female entertainer in the world, the first female African-American billionaire. In the early years of her success, some critics said she evoked the plantation stereotype of the black mammy. But her media mogul status has silenced those critics. Born in Kosciusko, Miss., in 1954, she experienced hardship from an early age. Her parents separated when she was still very young. They sent her to live with her grandparents in poor surroundings until the age of 6. Then she moved to Milwaukee to live with her mother but was sexually molested by male relatives. At age 14 she moved to Nashville, Tenn., with her father. As an adolescent, she struggled with drugs, rebellious behavior and lost a baby after giving birth prematurely. But her life turned around when she earned a college scholarship. She studied at Tennessee State University, where she received a degree in speech and performing arts. This helped her become a successful news anchor. In 1986, Winfrey started taping The Oprah Winfrey Show, a Chicago-based daytime talk show. Over the last 20 years, her televised counseling — and willingness to be counseled — helped make her the first billionaire-everywoman. 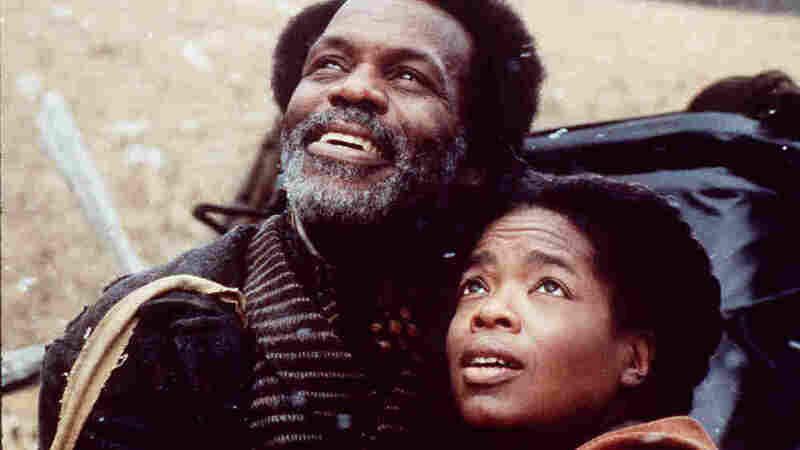 In 1985, Winfrey co-starred in Steven Spielberg's film adaptation of Alice Walker's Pulitzer Prize-winning novel, The Color Purple. The Color Purple went on to become a Broadway musical and opened in late 2005, with Winfrey credited as a producer. Winfrey has also produced made-for-TV movies and theatrical pictures like The Wedding, Beloved and Their Eyes Were Watching God. In doing so, Winfrey helped bring celebrated black literature to the screen that might otherwise have been passed over by Hollywood. Winfrey was both producer and star of the 1998 film <em>Beloved</em>. The film, though highly acclaimed, did not achieve commercial success. It grossed merely $23 million in U.S. box office sales. But even super-powerful media mogul Oprah Winfrey was unable to turn the film Beloved (with its A-list director, Pulitzer Prize-winning source material, skilled cast, healthy production budget and broad advertising campaign) into a box-office hit. The reception of Beloved was an indication of our collective discomfort with films about the nation's history of slavery. Over the years, Oprah Winfrey has used her storehouse of assets and resources to make progressive motion pictures, which haven't always been commercially successful. By producing movies like Beloved, Oprah Winfrey has held up a mirror and shown us exactly where we are as a national movie-going community. If she does retire from daytime talk television in 2011, as announced last year, she will leave behind a legacy of quality television programming and perhaps move into another challenging arena. Mia Mask is an Associate Professor of Film at Vassar College. She is the author of Divas on Screen: Black Women in American Film. She has written film reviews and covered festivals for IndieWire.com, The Village Voice, Film Quarterly, Time Out New York, and The Poughkeepsie Journal. Her criticism was anthologized in Best American Movie Writing.